The very name Cadillac carries with it a certain distinguished air of power and style, but when you stretch those enigmatic qualities into the form of a limousine, the result is an all-out statement that draws the envious attention of on-lookers; a statement that declares, "I have arrived!" This is the very essence of the Cadillac Escalade limo rental from Elite Luxury Rentals. 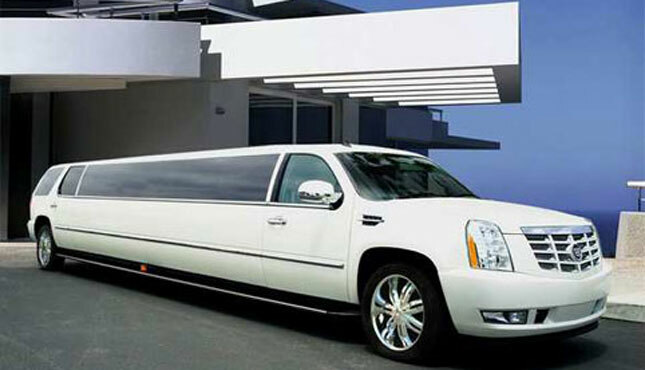 Perfect for rental as a prom limo, a wedding limo, or as convenient and stylish group transportation for a night on the town, this Miami limousine rental features first-class accommodations for up to 25 passengers. Luxurious interior detail combines with modern entertainment technologies so advanced that you’re likely to forget you’re inside a vehicle. All this comes with superior service from your very first point of contact with one of our reservations specialists to your personal chauffeur for the evening. Whatever the occasion, our Miami limo services make it an event to remember!